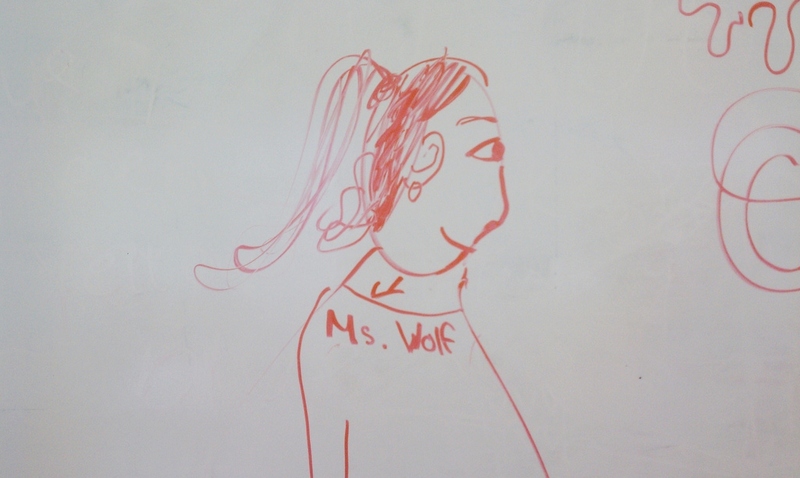 Apparently, in the eyes of one of my students, I have a very thick neck? Spied in the classroom this morning and now blushing as a result. Working with kids–such an adventure, indeed. Next cuban round bread (finished).